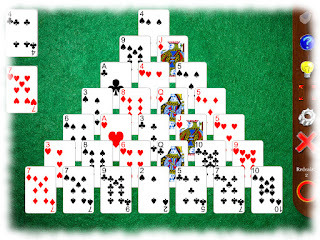 Patience game (solitaire) addicts may be interested in a new Pyramid 13 Game for iPad that I released the other day. The app features two variants of the game (1 redeal and 2 redeals) allowing you to play Pyramid 13 in two different modes depending on whether you prefer a more 'strategy' or more luck-focussed game. This free Pyramid 13 app features the same high-quality retina graphics as its sister app Solitaire Whizz, featuring a total of 20 different solitaire games for iPad.